I’m about to tell you about our most popular patterns this season. Why should that matter? If everyone else was jumping off a cliff, would you jump too? Which reminds me of this GREAT video. Even though I don’t like to think of myself as a lemming (in the popular metaphor sort of way), I do find it pretty fascinating to know what everyone else is knitting. Now that we are able to sell individual pattern PDFs it’s really clear to us which items are the being purchased the most. Three patterns from our Fall/Winter ’13 collection are way ahead of the pack. We keep our eye on the “hot right now” feature on Ravelry. There was no ignoring that A LOT of folks are knitting A LOT of triangle scarves and shawls. I have to admit that I am more naturally a sweater designer, but I’ve caught the bug too, along with the rest of the design team. I made my Aude using Cirrus and Abode held together. I used a size 11 needle, didn’t pay any attention to gauge and used 2 hanks of each. You might need a third hank of Cirrus. It was awfully close. I could not be more excited about this. A skirt – I really couldn’t have predicted it – a skirt is #2! If you haven’t already read the saga of how this skirt came to be, check out this older post. Cables– and correct me if you think I am off the mark – seem to be enjoying a new heyday. This one is knit in one piece from the top down, which also seems to be a good thing. Maybe I am understating the popularity of cables these days. 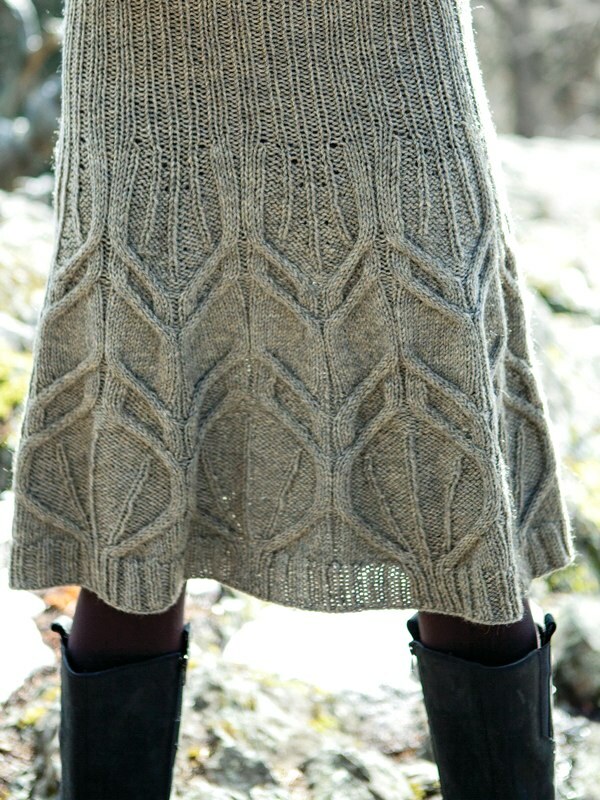 My most popular pattern this season, at least according to Ravelry likes, has to be Lempster. It’s a cabled pullover knit in Abode that I designed for the online magazine, Knitty. It’s a free pattern (and it’s top down!). Are you influenced by what everyone else is knitting? Oh yes. I ended up knitting colour affection last year as I kept seeing it popping up everywhere and eventually wanted to make my own colour combination. 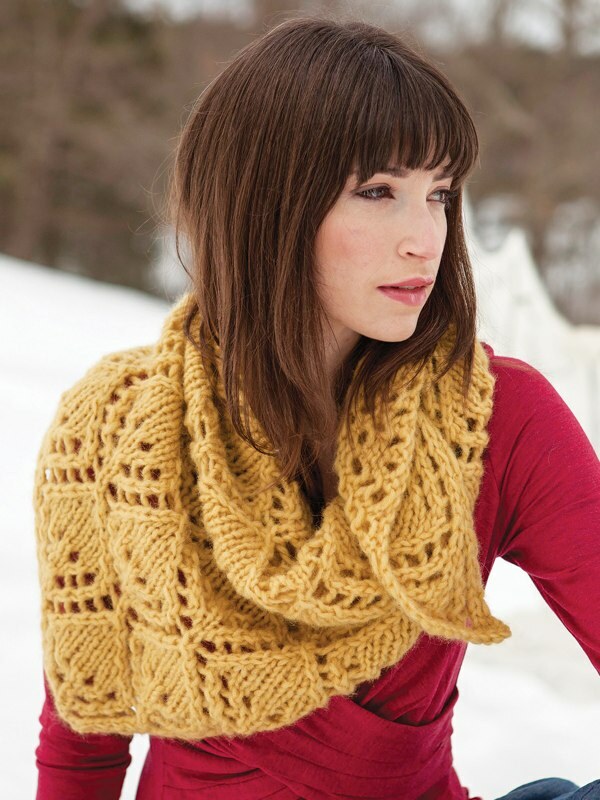 And recently I’ve been wanting to knit cowls. I wasn’t familiar with them but they seem popular now and I actually think they are a great idea. I am definitely influenced too, and not just in designing, but with what I want to knit. I love seeing what’s hot on Ravelry. Those pesky lists have definitely contributed to my favorites and queue and have drawn my attention to things I may have never known about otherwise.